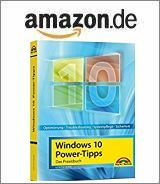 [German]Microsoft has surprisingly released the ISO installation images for the Windows 10 May 2019 Update (Version 1903) for MSDN subscribers. MSDN subscribers can now download and test this Windows 10 build without having to be an insider. [German]Users of AMD systems should take care when using Windows 10. Currently it is not possible to install Insider Previews builds of Windows 10 May 2019 update, because the raid drivers cause issues and prevent an upgrade. [German]For Windows insiders testing the Windows 10 May 2019 Update (Version 1903) in the Slow, Fast and Release Preview Ring, the cumulative update KB4495666 dated April 9, 2019 is available. Microsoft has released Windows 10 May 2019 Update (Version 1903) in Release Preview Ring for Windows Insiders. Advanced users are now able to test the latest Windows 10 version.